A report from the London School of Business and Finance proving that carbon management and green business in general are a fertile ground both for investments and educational orientation. The world is changing only through unity. Let’s turn all green! Discover the astounding savings of LED Lighting compared to conventional white light sources according to study by the US department of energy. This Christmas try to actively show your environmental responsibility by switching to ecosmart led light strings. We are sorry for this commercial graph but this is all due to our sincere environmental concerns. With Canada being the second country in established oil reserves after Saudi Arabia , it’s more than plausible that the ground is fertile for chasing a career in the petroleum industry both for males and females. Year 2009 was the first one with decreased Carbon emissions by 0.3% since 1998. But this is just a drob in the ocean. 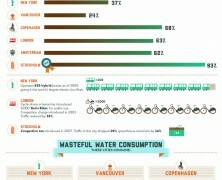 See which countries are the green leaders showing their enviromental responsibility in action. See how you can save the world by saving energy in your home and investing in energy-efficient solutions. An intriguing report that sizes the rising average passenger weight with fuel usage worldwide. Frustrating facts come up about adults’ obesity in USA through time. Survey that examines the sentiment of 200 consumers against their utility company services and development strategy. Existing buildings are responsible for more than 40% of the world’s total primary energy consumption. Learn how energy efficient buildings can help in sustainability. Does your utility bill cause you headaches? Find useful tips to save some money for yourself and get more energetic-aware. Warehouses are leading the trend in energy efficient design as small measure can make a big difference.There are numerous techniques to help a company GREEN a warehouse. Look inside! Contrary to the G20 treaty of 2009, governments keep funding fossil fuel production and consumption with almost $1 trillion. Do you see any transparency issues? 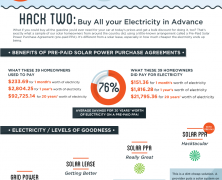 There has been a lot of buzz around solar energy and its benefits. Here you will find a breakdown of 5 most spoken myths about its supposed inefficacy. As the oil reserves lessen, electric cars are becoming more than alternative. Starting form 1897, here is a brief history of the electric car evolution together with some thoughts on pros and cons of the 2 technologies. Even nowadays in the modern and “developed” world over 1 billion people are devoid of electrical power. Energy access and unequal opportunities are still an issue. Focusing on wind power will save consumers and businesses billions while giving them a better place to live. Throw me some light! 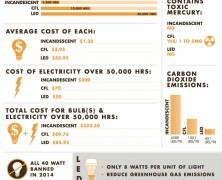 Some interesting benchmarks over the true cost of lighting both direct and indirect. Sustainability should be a major concern for all types of organizations. Here you will see the US colleges that stride in terms of environmental awareness.